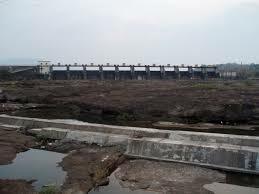 Khadakwasla is a dam situated 20 km from the City of Pune in Maharashtra, India.This dam is one of the main sources of water forPune. In the vicinity of the dam, there is a Dental Centre, a Veterinary Hospital, the well-known National Defence Academy and Central Water & Power Research Station(CWPRS). Just a few kilometres up the road, lies Sinhagad Fort and the twin dams of Panshet andVarasgaon which mainly supply water for irrigation. 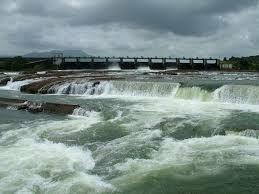 In 1961, the Khadakwasla Dam had to be blown, as the Panshet Dam overflowed, causing devastating floods in Pune. The dam was later rebuilt. 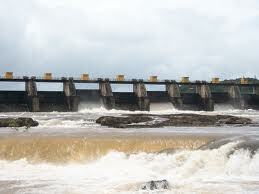 The original dam, built in 1879 as a masonry gravity dam was the first of its kind in the world. Many people come here on weekends and during the monsoon season. Scenic places around the dam include Peacock Bay, Kudje village, and Neelkanteshwar, located near Bahuli village just past Kudje. 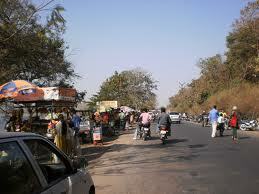 The Sinhagad road, bordering the dam, has become a favorite picnic spot too. There is a "chowpatty" offering food and non-alcoholic drinks.